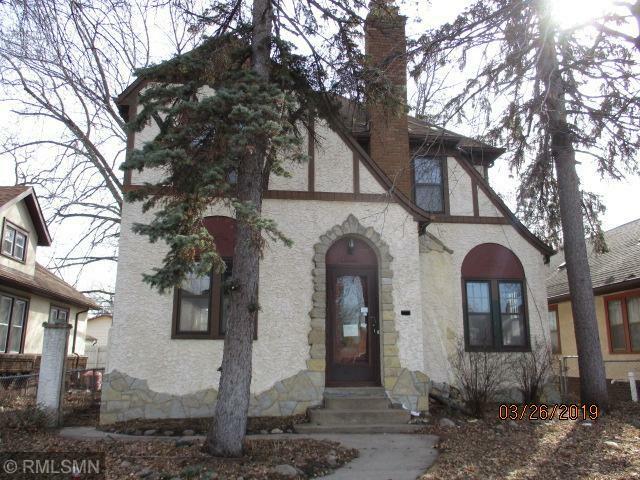 Hard to find 2 story Tudor, oversized newer double garage, hardwoods, natural woodwork, fireplace in living room, main level den, 3 bedrooms on upper level. Needs extensive rehab due to frozen plumbing. Sold As-Is. No warranties.